Home → Our Blogs → Attack of the Wompas Now Available On Synthesis VR! FREE Promotion April 14 – 30 ~ Let Your Customers and Employees Play Buddy Adventures: Attack of the Wompas™ for FREE! 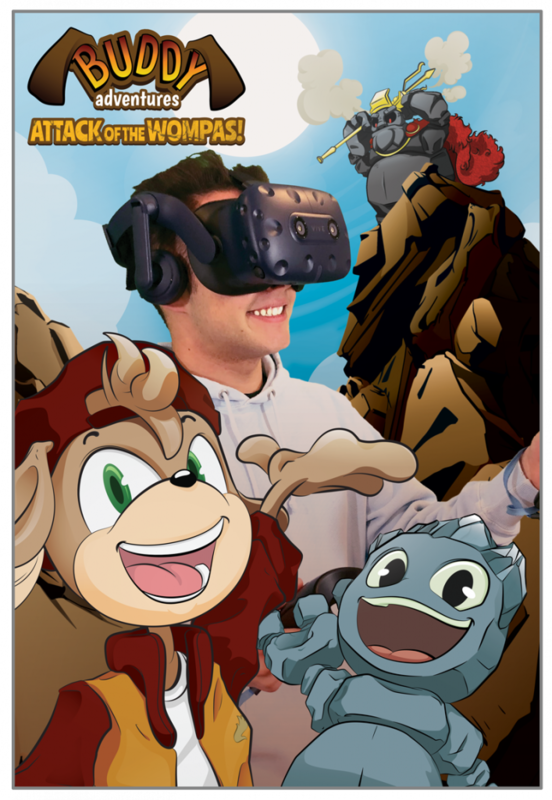 Bring more families into your VR arcade with Attack of the Wompas now available on Synthesis VR. This family-friendly game is free for the month of April and is perfect for kids of all ages! This super-fun game is designed exclusively for arcades so it’s easy for kids to get into the action quickly. Drive repeat play and boost revenue by bringing more families into your VR arcade with this great “go-to” arcade game for kids, especially if they’re new to VR! Increase sales by promoting your arcade with downloadable marketing materials and social media images available on the Rocket Arcade Marketing Portal. Subscribe to Attack of the Wompas, take photos and tag us at “@rocketworldwide” and we will advertise your arcade location on our social media platforms. Shoot flaming arrows at the King Wompa with life-like bow and arrow. Fire exploding cannon balls with both hands using your ballistas. Swing a giant hammer to clobber the wacky Wompas! Immerse yourself and become part of this exciting story in this interactive VR adventure from Rocket, a trusted name in family entertainment. Download and play it today for FREE! Also, don’t miss out on this SPECIAL OFFER for Synthesis VR Arcades. A limited edition 18″ x 24” Attack of the Wompas poster will be mailed to you after your arcade reaches its first 20 hours of game play. This colorful poster is perfect for an arcade window or wall display. No registration required. It’s that easy! Offer Ends April 30, 2019. Get a Happy Easter Poster as well!